These include the management of the movement of entire resources at the exact places where these are required. It also means the proper distribution of oil and gas products where these are required. Proper supply chain of products not only increases the efficiency but also ensures the profitability. These processes also include the integration of information, warehousing, transportation, inventory, material handling and packaging. The entire process of logistics & distribution requires efficient team members and combined team of experts and professionals in various skills who ensure the proper distribution of raw materials in different geographical reasons at lowest costs. The balanced supply chain management reduces the time and ensure the faster speed. Incorporation of experienced workforce in different departments helps in maintaining the tighter control of inventories, internal production, distribution and sales. It is very easy in India to continue a maintained and successful in logistics and distribution and its future is also very bright. Logistics & Distribution is the overall management of the way the resources (extracted in the midstream activities) are moved to the areas where they are required. Shella Consultants is committed to deliver cost effective oil industry jobs, oil industry recruitments in several work areas of the Oil and Gas Industry, which includes placement of personnel in Logistics and Distribution who are sourced through our established network with other industries. Vast pool of candidate in all profiles, right from consultation for the oil and gas industry to the final distribution. Experienced and efficient staff to source and deliver manpower. The candidates are tested on several parameters that are considered important for the petrochem and oil -gas sector. While continually striving to improve ourselves and the services we provide, we have built up an envious network of trusted business partners who are testimonial to the quality of services we provide. We endeavor to continue providing you optimum manpower solutions with our latest and cost effective methods. We are experienced in recruiting at all levels, our focus being permanent placements, including senior and executive positions. We are very comfortable operating at this level, adding value, totally focused on achieving the best fit for our clients and candidates. At Pipeline Recruitment we pride ourselves on being business people, with many years of working in (and on) large and small businesses, building, managing & retaining winning teams. We are specialist consultancy if you employ, or are employed in Freight, Logistics, Storage, Manufacturing or Distribution. We aim to be the best option for you when you are looking for your new team member. We are established to fill a niche in a market that required a knowledgeable, innovative, personal offering to service this multi-billion dollar industry. Our Specialist Consultants have vast and varied networks within the industry which position Metropol as a first choice supplier for our clients Human Capital requirements. In conjunction with our recruitment specialists, Metropol have established invaluable partnerships with several key Transport and Logistics professionals. With over 50 years combined experience in all facets of the transport scene, Metropol is in the advantageous position of being able to draw upon the knowledge and networks of these consultants to provide immeasurable benefit and value to both clients and candidates. Oil field, Upgrades and refineries provide a major contribution for the Oil and Gas Industry and have emerged as a major factor in providing high economic development. For meeting up to the functional requirements of the industry, many job opportunities are available where the client companies require service support of experienced professionals to handle the present and at the same time fuel for the future growth. 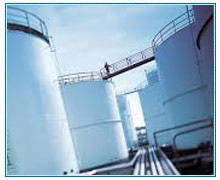 Providing support as experienced Oil Refinery Job Consultancy to support the needs of getting projects staffed and started quickly with skilled manpower for career in oil refinery. Our expertise in identifying required and right professionals suitable for the job profile within short time span regardless of location or time. Ability as well as experience to source people from within India and overseas with client base including both offshore and onshore oil industry majors. Our rich database of high quality & size is the best in this sector that allows us to deliver best possible results. Work as a common interface for prospective candidate and recruiting firm, thus bringing best and brightest together through our expertise and strong network.